Dave Yanchulis is a graduate of George Washington University (1987) and has worked at the Access Board since 1988 as an Accessibility Specialist responsible for technical assistance to Federal, state, and local governments and private sector entities regarding the requirements of the Architectural Barriers Act (ABA) of 1968 and the Americans with Disabilities Act (ADA) of 1990. In 1994, he was appointed Coordinator of Research, a position created to manage the research efforts that underpin the development of accessibility guidelines. Dave has also been active in rulemaking for both Title II and Title III guidelines for buildings and facilities and for transit vehicles. Most recently, he has developed guidelines for the accessibility of correctional and judicial facilities constructed by state and local governments and for elements used by children. 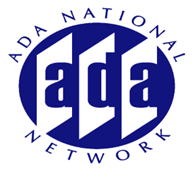 Dave's magnum opus is the ADAAG Technical Assistance Manual, a comprehensive advisory on applying accessibility guidelines to design and construction projects. In May of 1998, Dave was appointed Coordinator of Public Affairs, taking responsibility for the Board's public outreach activities, including its bi-monthly newsletter, Access Currents.